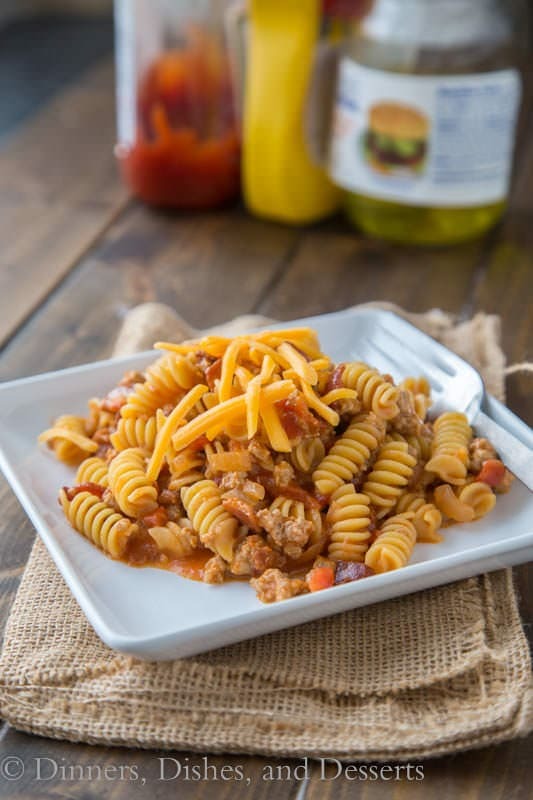 This bacon cheeseburger pasta skillet will make your mouth water as it simmers on the stove. Good thing it only takes twenty minutes to get on the table! School is in full swing. The holidays are practically right around the corner. 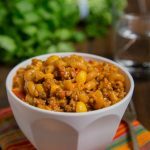 So coming up with quick and easy dinners is necessary now more than ever! I only have one child, and we have multiple Lego Robotics practice each week, plus basketball season has started, so we have that. Not to mention homework. Right now I am kind of glad we didn’t also sign up for Spanish and chess club that my 10 year old was also interested in! 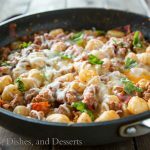 So dinners like bacon cheeseburger pasta skillet are a life saver for me. Admit it. 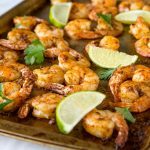 Now that it is getting cold out you want to break out the grill again. We are one of those families that will use the grill all year. But grilling burgers in the winter just doesn’t seem right. Not sure why that is. We will go out to a restaurant and get burgers, but making them at home just seems strange. 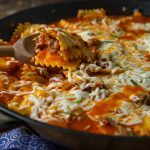 But bacon cheeseburger pasta skillet? That is perfectly acceptable! 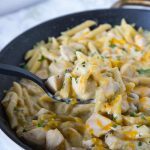 This is a one pot meal that is ready in 20 minutes. 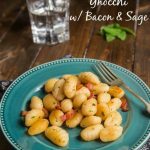 It is perfect for quick weeknights, and even the leftovers are good for the lunch the next day. We try to eat dinner as a family every night, but sometimes when practice starts at 6:00 it doesn’t happen. 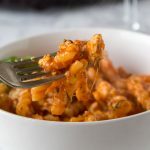 I like to use the slow cooker for busy weeknights, like this slow cooker tikka masala. Or, I will often make a pasta skillet, or other quick dinner, that my son will eat it before he has to go to practice, and my husband and I can eat it later. One meal, ready quickly, and everyone gets a homemade dinner. No running through drive-thru or getting take out. 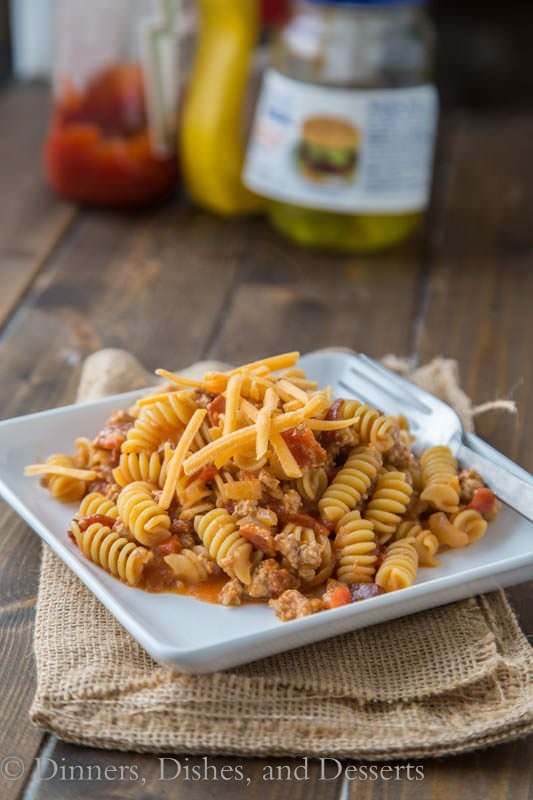 Even picky eaters are going to love this bacon cheeseburger pasta skillet. 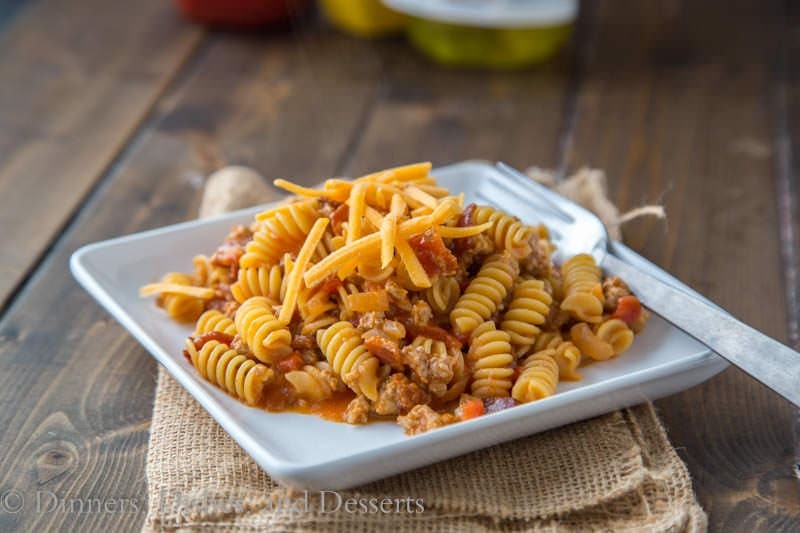 We have cheese, bacon, pasta, and ground beef… what is not to love? Plus, you can top it with your favorite cheeseburger toppings. Chop up pickles if that is your thing. Add a little more mustard or maybe diced avocado. Whatever you like, give it a try! 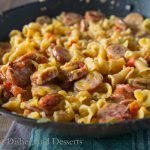 I am sharing this Bacon Cheeseburger Pasta Skillet Recipe over at Food Fanatic today. 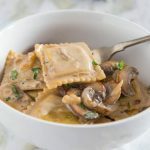 Be sure to head over and see all of the other Easy Dinner Recipes I have over there! Burger and pasta in 1! Great idea! 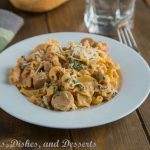 I love love love these easy stovetop dinners and my husband will love this one. I can see my nieces will too. Thanks! YUM! The perfect comfort food!!! 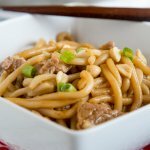 We need easy meals in my house and I’m always looking for new ideas. 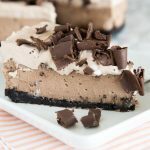 I love the flavors in this recipe, it’s got everything my kids love! This sounds like something my family would love! Thanks for sharing! My kids would go for this, I gotta try it soon on them! 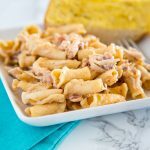 I love this quick and easy dinner idea! My boys love pasta and tomato sauce! And by adding the crumbled bacon they’re going to really dig into this. Thank you! 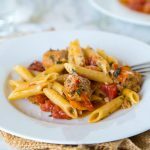 quick dinners are essential lately and this pasta screams comfort! I like cheeseburgers and I like pasta, soooo THIS sounds amazing! I am probably going to make it for the “big game” next Sunday. 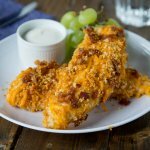 What a great take on comfort food! This looks SO good. I love pasta. Maybe too much… But this looks wonderful!